I love cooking with a base ingredient like Shredded chicken. I love it even more when I have a stash frozen and ready to use! 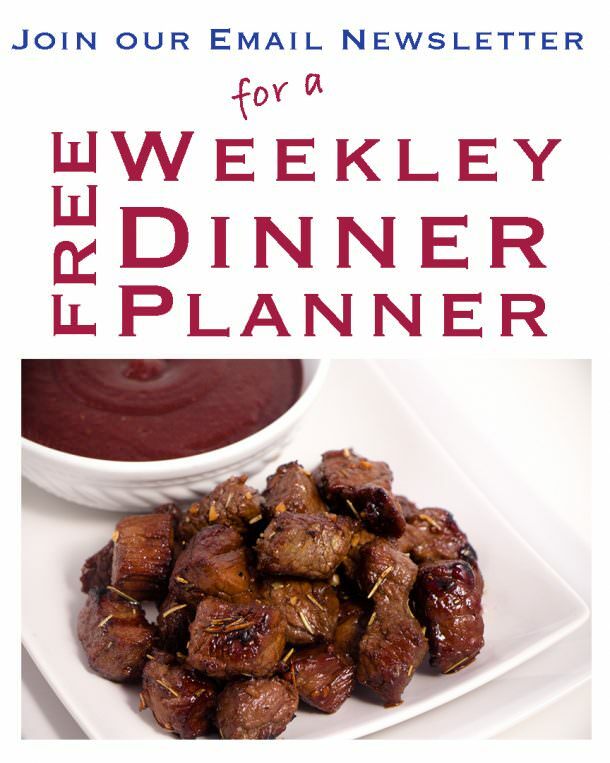 It makes those busy weekday evenings so much smoother with a real meal and it takes only minutes. This is an easy meal to prepare, in fact my 10 year old son has followed this recipe with only minimal questions. It’s pure joy to know he is learning to cook a full meal and find success in the kitchen at such a young age. Start with your shredded chicken that you have made previously, or you have crocked all day. You can find that recipe here. 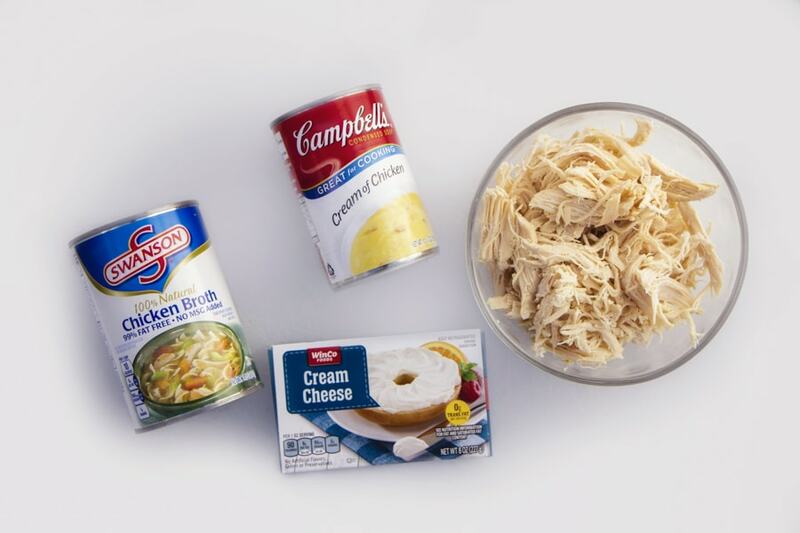 Add cream of chicken soup, chicken broth, cream cheese and salt and pepper to taste. This can all be warmed up in the microwave, or in a sauce pan. Once warm, add shredded chicken and heath through. Your gravy is complete! 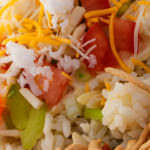 Hawaiian Haystacks aren’t complete without an abundance of toppings! We all have our favorite that we enjoy, so take the time to add what you love best. Traditionally a nice variety includes, green onions, chopped tomatoes, diced celery, coconut, pineapple, almonds, cheese and of course Chinese noodles. Make a quick batch of white rice, minute rice, or even Savory Rice to add to this meal. Then you can layer to your hearts content. Everyone can personalize their plate to exactly what they love. 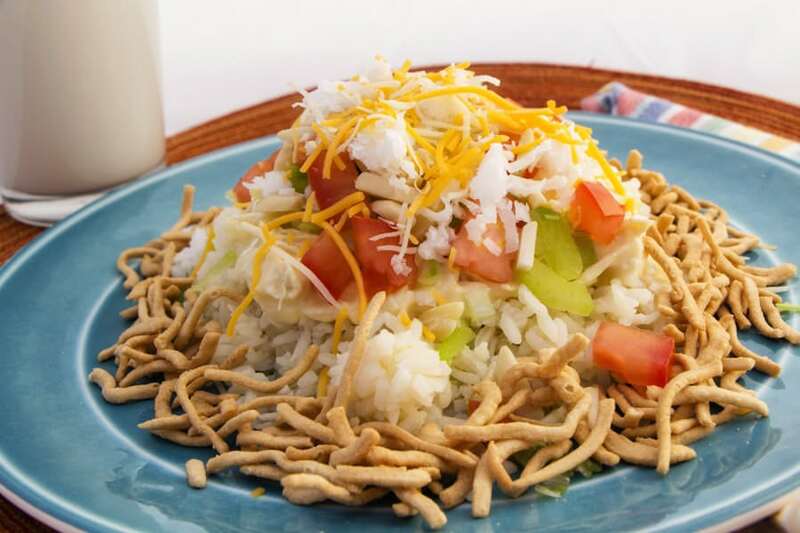 Hawaiian Haystacks are a family favorite for many reasons but mostly because everyone wins with a dinner they choose. If you have picky eaters like I do, then you can understand how important it is to have a meal that everyone loves. Try a Haystack and make memories! In a saucepan over medium heat or a microwave safe bowl placed in the microwave stirring after each minute, combine soup, broth, cream cheese and salt and pepper. Heat until hot, add 3 cups of shredded chicken and stir. 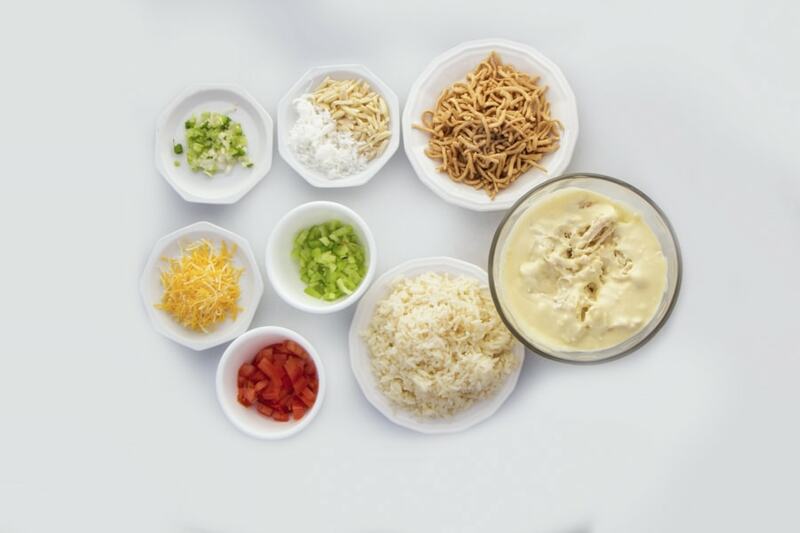 Choose your favorite toppings and prepare and place in separate bowls. Cooked rice is made with 2 cups liquid and 1 cup rice brought to a boil, then cover and turn to low for 30 minutes. You could also use Minute Rice and follow package instructions or try our Savory Rice recipe to add even more flavor to this meal.